Hailing from chilly Canada, Dr Frank Nguyen achieved his Bachelor of Science degree from the University of Toronto, while contributing to research and working in various hospitals across Toronto. Frank’s dedication to health sciences combined with a passion for travel led Frank to the University of Sydney where he completed a Bachelor of Dentistry (not to mention meeting his future wife!) before settling in Australia. 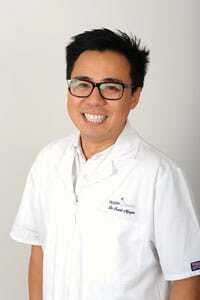 With his friendly, approachable manner, Dr Nguyen is the ideal fit for our Apple Dental team; always putting his patients first and ensuring their comfort at all times. With his keen interest and emphasis on prevention and education, Frank takes care to involve his patients in their treatment and continually meet their needs. There is nothing Frank loves more than helping people, using his skills and knowledge to solve problems and restore smiles while connecting with them. Dentistry truly is his perfect career. Frank is extremely detail-oriented and meticulous when providing any kind of dental treatment which helps to ensure patients benefit from reliable and long-lasting work. Dedicated to ongoing professional development, Frank has completed his primary examinations at the Royal Australasian College of Dental Surgeons, and also teaches at the Faculty of Dentistry at the University of Sydney. In 2014, Frank completed his Diploma in Conscious Sedation and Pain Control as he is committed to ensuring even the most nervous patient can comfortably and safely receive treatment. He is particularly interested in restorative dentistry and especially in using advanced CADCAM technology to create precision-made restorations for his patients. 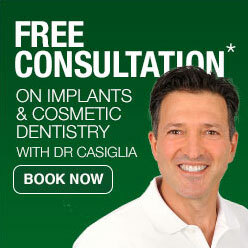 As a dad, he is also interested in paediatric dentistry and preventative dental care. Outside of our Lane Cove practice, Frank is an avid photographer who enjoys the thrills of snowboarding and surfing, practising his culinary skills and spending time with his family. For more information about the dentists at Apple Dental Lane Cove, call us on (02) 9420 5050 or drop in at the practice at 1 Finlayson St, Lane Cove NSW 2066.